October 11, 2012 / P.J. First, it was football. She would hear me talk nonstop about all the NFL action she could handle, until it all sank in and she acquired this insane level of knowledge that she can unleash to impress our fantasy football league (of which, yes, she is the only female participant). Now, it is disc golf. Steve Hill’s wife Kelly has started to take up disc golf, so maybe knowingly looking for houses closer to courses wasn’t a one-way deal? 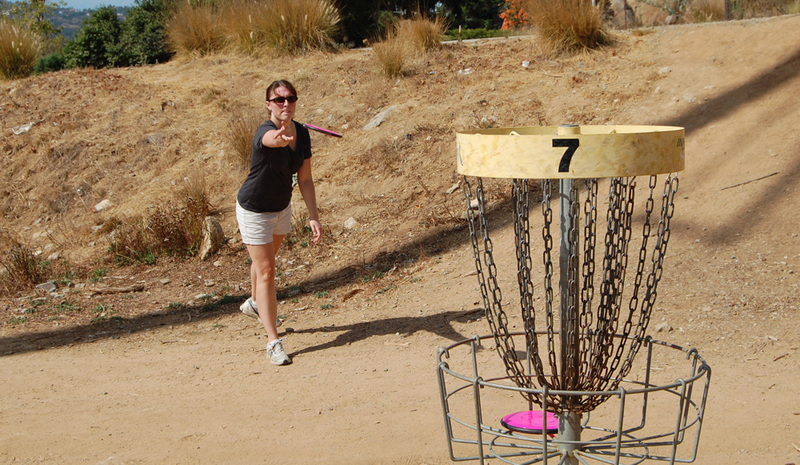 Being that I am a disc golf player, writer (allegedly), and all-around obsessive, she is always having to listen to (or tune out – really, I don’t know) my various adventures. Ranging from “I was this close to an ace today!” to “I think I want x disc in y plastic, but I am not sure because I like the grip of z plastic better,” she certainly gets her fill, yet never complains. Recently, though, I thought I had pushed her to her breaking point. You see, my wife was recently offered a new job, which found us relocating to North San Diego County, California. For those who are unfamiliar with the area, it is close to the beach, has boatloads of craft breweries and, most importantly, a nice selection of disc golf courses. In short, we relocated to my personal mecca. There was only one minor drawback, though — house hunting. Goodness, house hunting is the worst, and nowhere near as glamorous as those shows on HGTV (which I totally don’t watch, and only know about because my wife watches them and I hear them in the background). We were on a crunch for time, and we needed to find a place that would be near enough to her work and not require a ton of time in traffic. Now remember: Close to the beach, beer, and golf courses. Should have been enough for me, right? Every time we looked up a new place to rent, I would look at three things — the price, if it allowed pets, and how close it was to the nearest disc golf course. Often times, we were looking at a 25-minute drive, which for many readers (and Rattling Chains head honcho P.J.) is probably close enough. But herein lies the problem — our prior residence was five minutes from the nearest course. Kind of tough to beat. I was spoiled. Kelly Hill prepares to throw a shot. Something tells me she was seeing through my game of Say I Like It But List Drawbacks Before Mentioning Its Distance From the Course. When all was said and done, we finally found a place, and the nearest course is about 15 minutes away. Definitely not bad, especially since another one is only about 20 minutes from here. All in all, I would call that a win. But the real win, though, was seeing how awesome my wife is. Not once did she chastise me for caring so much about course proximity, even though I am sure she wanted to. She truly understands how much I enjoy the game, and for that, I am the real winner. And since we have moved, my luck has grown even more. I noticed her recently beginning to pick up some of my putters and flick them at the practice basket while we were out in the backyard barbecuing or playing with our daughter. Also, when I recently unwrapped my new MVP Ion in some gorgeous hot pink Neutron plastic, she was quite taken with it. So, I took a leap of faith and bought her first discs, a Latitude 64 Diamond and an MVP Anode. Both are easy to throw for beginners, and they come in some of the best plastic on the market right now. When they came in the mail, I couldn’t wait to give them to her — even though they were supposed to be a birthday present in a couple weeks (not her only gift, don’t worry!) — so I made her close her eyes and gave them to her. When she opened her eyes, I was honestly more nervous than anything else — would she even think it was a nice idea, or just a ploy for me to get some plastic in case she didn’t like it? Luckily, she was excited about them. So much so that, the next morning, we headed out to the local nine-holer, Montiel Park DGC in San Marcos, to give them a test run. It’s a nice open course with some elevation, so it is excellent for beginners who may not be able to navigate in and out of trees. Norah Hill is working as a caddy for now, but look out in the future! With our daughter caddying (I use that term as lightly as possible), we approached the first tee, and I could sense my wife’s hesitation. I assured her that I have seen people play horribly on this course, and that everyone starts as a beginner at one point. After giving her some tips on how to grip the disc and reach back for her drive, she let the first one fly, and it went pretty straight! She carded a four on the first hole, which I would have been more than happy with during my first disc golf experience. 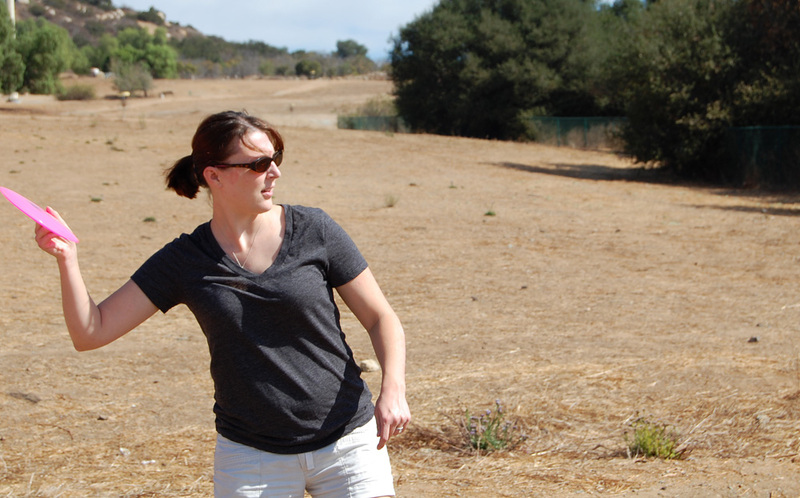 As we progressed through the course, I would try and give her pointers where possible, trying not to overwhelm her with all of the information and timing and thinking that can accompany disc golf. When the disc would come out wobbly, I reminded her to try and snap her wrist some more, to which she playfully replied, “I’m like Peyton Manning after his neck surgery!” She loves her some Peyton. At the end of the round, she thanked me for the discs and for taking her to play, and I could genuinely tell that she had enjoyed herself. What I didn’t mention, though, is that I should have been the one thanking her. To be able to bring all of my loves together in one afternoon was truly a special experience, and I can’t wait for our next round of family disc golf. I was looking at those two discs and commented to my wife that I’d like to go back to the local course and play some disc golf. She nodded and low and behold, she asked me if I wouldn’t mind if she came along. I thought initially that she was just tagging along so that I wouldn’t feel ‘left out’ but when we got to the course, she asked if she could play too. After the initial shock set in, and I picked my jaw up off the parking lot, I of course said yes. Long story, short, my wife and I play 2-3 times a week, we even get our daughters out about 1 or 2 times a month. We (my wife and I) have lost a collective 65 lbs since then (my wife has lost most of that, I’m so proud of her) and the family relationship is starting to get better and we are starting to respect each other a bit more. It’s a work in progress, but where there seemed to be little or no communication and interaction, there is now a light at the end of the tunnel. This article sums up why I love Rattling Chains!!! I am 25 and got the disc golf bug earlier in the summer. I take my partner out when she feels up to it ( she is 7 months pregnant ). Although she hasn’t played yet, I look forward to teaching her and our future son how to play. It truly warms my heart to see families out on the course enjoying this game. Thank you for sharing and keep up the great work. 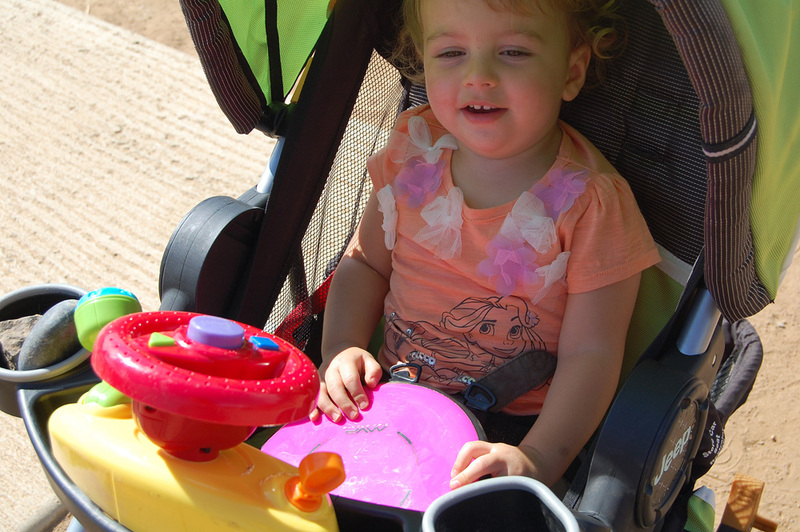 @Joshua Winn – your son and my daughter will probably meet up on the PDGA national tour in about 18 years time. My wife is also 7 months along with a little daughter and I’m hoping that she takes to disc as well as I have. …..so long as Nate Doss and Val Jenkins don’t reproduce any time this decade. Great story Steve, and great comments as well. I like them all but am especially heartened hearing from Morgan about both the redemptive and fitness potentials of disc golf. Thanks, Jack. I was thinking the same thing. I am so happy to hear that people are able to being their families together through our great sport.